A bowing or leaning wall is a sign of impending foundation disaster and can be a problem for many Iowa homeowners. If your home’s foundation walls are starting to lean or bulge inward, it could collapse or lead to other structural problems. A damaged foundation wall can lead to wall cracks which can allow water and pests to enter your basement and weaken the foundation’s integrity. If you have a bowing or leaning wall, it is very important that you call the foundation experts at Iowa Home Restoration & Repair, LLC. You need to know what is causing your home’s foundation to bow or lean before you can fix it. That’s where we come in. Our experts will inspect your home for free and determine the cause of your bowing or leaning walls. Once we know what the cause is, we can determine the best repair solution. In addition, if you know the causes of a bowing wall, it will be easier for you to see them and know when to call our team of professionals. All of these problems are fixable and Iowa Home Restoration & Repair, LLC has the right combination of tools and expertise to fix the damage and restore your home’s stability. Because of the different causes for a bowing or leaning wall, Iowa Home Restoration & Repair, LLC has different solutions to repair them. No matter what the cause, it is very important that you have your leaning or bowing wall repaired as quickly as possible. Plate Anchors: A plate anchor is used to stabilize and strengthen a weakened foundation wall. 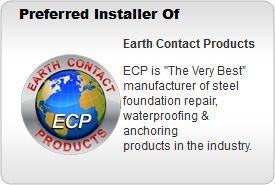 The system is made up of an inside wall plate, a strong rod, and an outside anchor. The plate and anchor are attached to each other and tightened up, straightening and strengthening the wall. Carbon Fiber: Rhino Carbon Fiber is one of our other solutions. This supports the walls and can also repair cracks. This method involves installation on the inside of the wall and you can paint over it when completed. 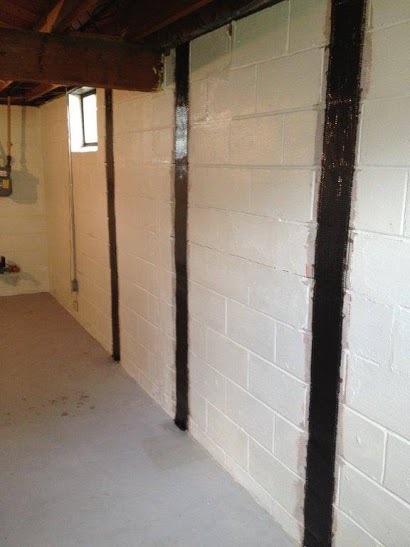 A couple of advantages that carbon fiber has over other methods is that it doesn’t take up any space inside your home and no digging is required outside of the foundation walls. If you discover a bowed or leaning wall inside your home, call us as soon as possible. Our knowledgeable experts will inspect your home for free and determine the best method of repair. Contact Iowa Home Restoration & Repair, LLC today.